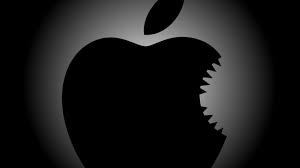 Apple is taking a Bite out of Windows: how about Your IT Solutions? Is it possible that Microsoft’s dominance in the Enterprise is coming to an end? The software company VMware thinks so. They recently wrote on their blog that in a survey they just conducted based on responses from 376 IT professionals on the challenges and relative advantages of utilizing Apple products in enterprise settings. In the VMware survey, 73 percent of IT professionals reported overall employee user preference for Macs over traditional PCs; even though Apple’s desktop offerings are not as compatible with application software as their PC counterparts. Why should a business CEO take note of this shift? Well the reason stated in the survey is that Users believe Macs are just easier to use. Why are IT professionals throwing their support behind Macs over PCs? It's not about PC compatibility: 40 percent said their decision was based on having access to Mac-only applications. Increased enterprise security also wasn't a key decision criteria, as 75 percent of respondents said Macs take just as much effort as PCs to protect. In the survey 70 percent of companies said they currently support Macs in the workplace, the ultimate decision once again came down to Mac’s perceived “coolness factor”—users think they are easier to use, better designed and possess nicer displays than PCs. Apple has done an amazing job in the last year assuring IT managers that Macs can be brought into a Microsoft LAN business environment. Macs can be locked-down with the same level of controls that are available for PCs. So Macs are certainly enterprise ready machines, and that goes for the whole product-line from the iPhones, to the tablet iPad to all of the MAC laptops and servers. As a business owner, do you feel it would be advantageous to allow an employee to use any device they want, as long as you can control the device while it is on your company network? I can assure you that all of the younger Generation Y employees want to use their own Apple laptops and tablets at work, not your old company Windows PC. I would say many of my employees are using their Mac or an ANP owned Apple device at work every day. I feel as if offering the option to allow your employee to bring in their own preferred device to your workforce can be an HR competitive advantage. Nine times out of ten it’s going to be an Apple device. Personally, my business and my family were longtime Windows users; I have converted completely over to Apple devices: 2 iPads at home, 2 Macs at home and I carry an Apple MacBook Air and an iPhone. I will never go back to Windows. Overall the transition from Windows to Apple has come with some bumps and bruises but I was an early adopter. If you and your workforce made the switch today, it would be painless. There is no question that the Apple devices are more expensive, but if you can get an additional year of use out of a Laptop, the premium you paid at first becomes a huge savings over the extended lifetime of the product. I see both HR and financial reasons to migrate away from Windows and towards Apple. While the overall sales of PCs are still much larger than those of Macs because of enterprise purchases, Apple has seen some great progress in the desktop PC world where Microsoft has not. Gartner is reporting about 2.1 million Macs sold in Q4 2013 for a 28.5 percent year-over-year increase in sales, compared to PC’s meager 2 percent growth in the same period. Apple’s CEO began talking about the “Post PC era,” last year. Here at ANP, I have seen Windows operating Systems growth decaying; PC sales are being cannibalized by Apple. But to be fair, VMware’s survey said, while many companies support Macs in the workplace, there will still be a long way to go before Macs can claim full dominance over Microsoft. It's important to remember that with such a small sample size (376 surveys) it’s difficult to gauge whether these statistics are representative of all IT professionals. However, as a self-proclaimed Apple watcher, I believe it is fair to point out that the survey does yield some interesting statistics on the starting shift in enterprise thinking from PCs to Macs. So while Macs might not be the right fit for your companies because of their differences from legacy PCs, it seems users want to work on an Apple Machine in the work environment. It remains to be seen whether they will ever completely overtake PCs in the workplace, but it looks like the battle for the hearts and minds of enterprise users has begun to shift over when it comes to Macs over PCs. Would you like to meet to discuss how you can begin to allow your employees to bring in thier devices to work and then lock them down on your network? ANP would be happy to hold a free seven step strategic session with you register here. If you are not ready to meet yet, please consider downloading our whitepaper called, "Seven signs its time to call for computer support." you can download that whitepaper here.